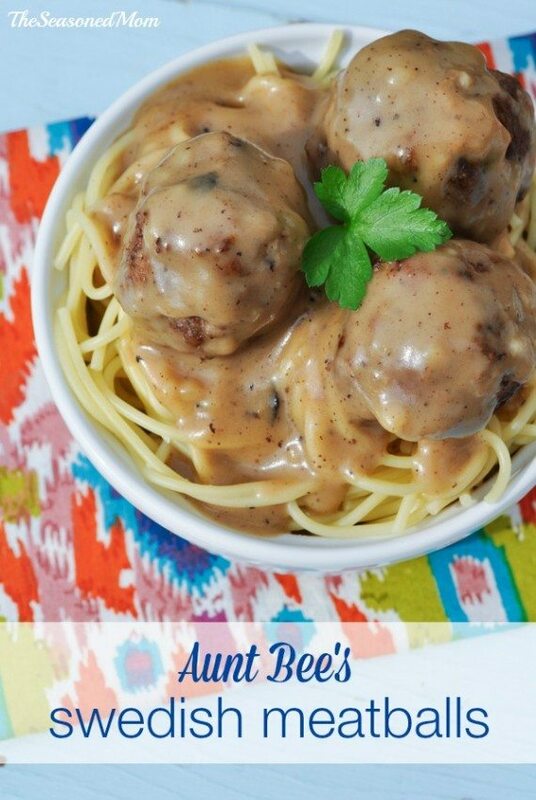 Looking for a fast, nutritious, and family-friendly dinner to add to your regular rotation? 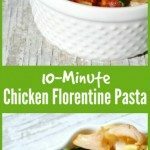 This 10-Minute Chicken Florentine Pasta is a quick-prep meal that your little ones will devour! 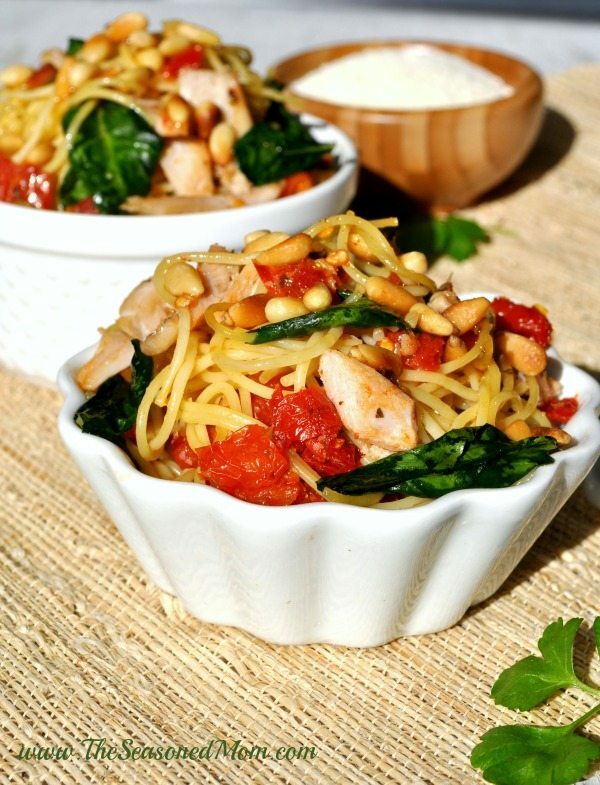 A simple pasta dish that is loaded with sundried tomatoes, spinach, chicken, Parmesan cheese, and toasted pine nuts will please even your pickiest palates. Hi, everyone! 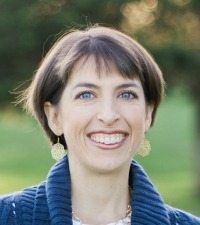 I’m Blair from The Seasoned Mom and I’m thrilled to be a member of Jenny’s Contributing Team this year. I have three little boys at home, a part-time job, and a blog…so my life is just a wee bit crazy. That’s why I am constantly on the hunt for the next “perfect” dinner. You know the one, right?! It’s the meal that your whole family will happily eat (no bribing necessary on your part), but it’s also a dinner that’s healthy and fast? It kind of sounds too good to be true, right? 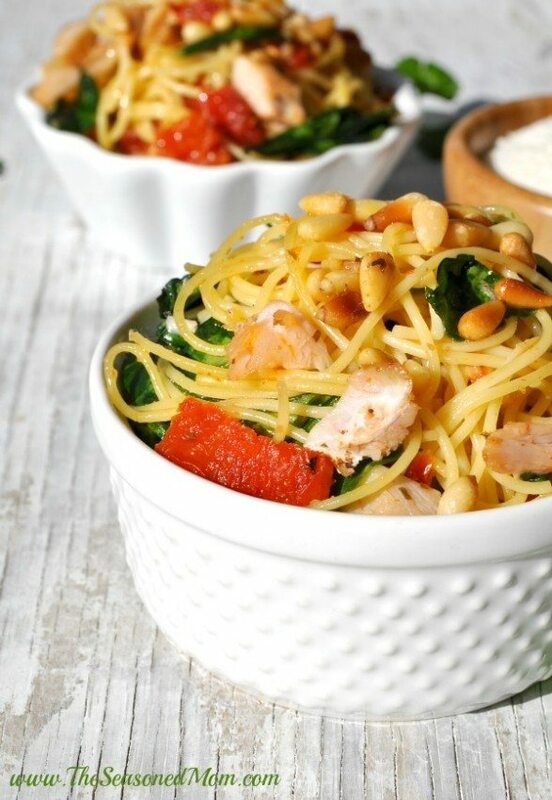 Well, in addition to my Lightened-Up Chicken Penne Casserole and my Healthy Chicken Chow Mein, I’m adding this pasta dish to my list of perfect weeknight meals. My husband and my 3 boys ALL cleaned their plates (even the 1-year-old!) and declared it a winner. I was just glad that they consumed a few veggies in the process. Oh, and that it only took me about 5 minutes to prep and 10 minutes to cook (thanks to some help from a store-bought rotisserie chicken)! The thin spaghetti boils really quickly, so it’s definitely a kitchen staple in my house. And in the few minutes that it takes to cook the pasta, you can get the rest of the ingredients ready to go. Then you just stir everything together and serve! I also appreciate that this dinner is lighter than some of the heavy cream-based pasta dishes that we all know and love. After all, spring is right around the corner and after a winter of consuming warm, comforting casseroles, this lightly-dressed one-pot meal is a very tasty way to prep for swimsuit season! If you have more time on your hands, or if your family has some other favorite veggies, you can feel free to customize this recipe according to your tastes. It would be great with some sautéed mushrooms stirred in, or with a bit of zucchini and summer squash added to the mix once summer decides to make its appearance. And the next time I prepare this dinner, I’m using some cooked shrimp instead of the chicken. 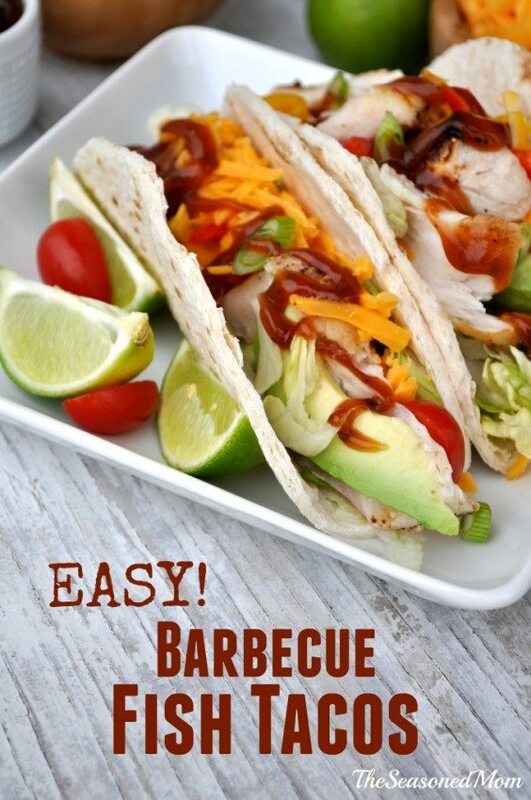 It’s equally healthy and just as fast! I buy the bags of frozen cooked, peeled, and deveined shrimp so that my only job is thawing them overnight in the refrigerator. If you hadn’t noticed, I’m all about the short-cuts…while still keeping it nutritious and homemade (as often as possible). Cook pasta according to package directions. Drain, and return to the pot. While the pasta is cooking, drain and chop the sundried tomatoes…BUT, be sure to reserve the oil that they are packed in. You will need it for the recipe. After you return the cooked pasta to the pot, stir in chicken, spinach, chopped tomatoes, Parmesan, and reserved oil from the tomatoes. Gently toss to combine. Heat pasta mixture over low heat, just until spinach is wilted and the ingredients are heated through. Garnish with pine nuts just before serving. *To quickly toast my pine nuts, I put them on a paper towel on top of a microwave-safe plate. Microwave the pine nuts for 1 minute. 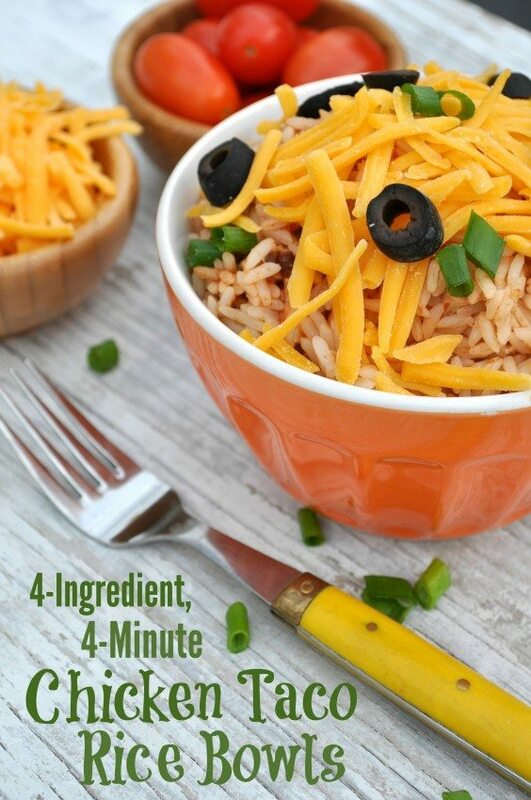 Stir, and microwave for an additional 1 minute. They should be perfectly toasted!